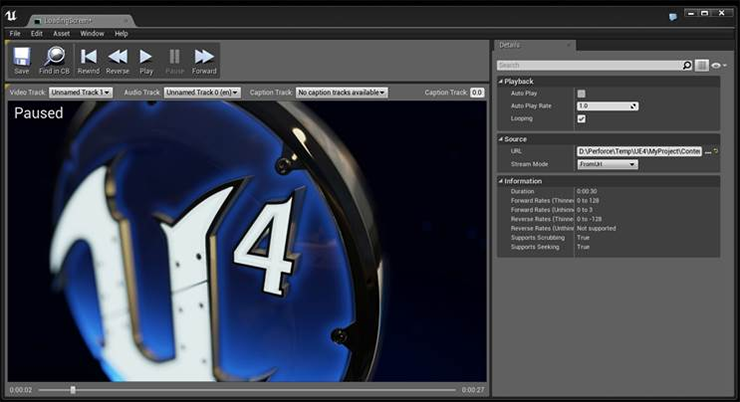 The 4.5 release includes eagerly-awaited features such as animation retargeting, automatic C++ hot reload, light map UV generation and streaming video textures. 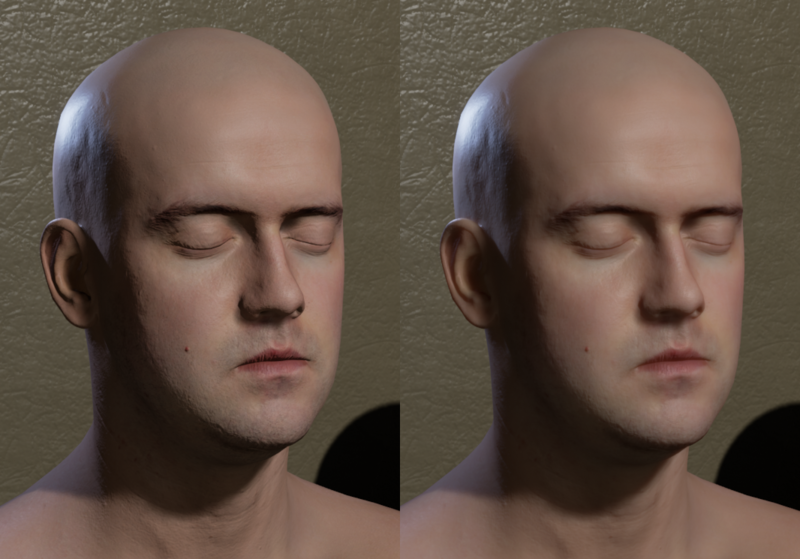 New real-time ray traced soft shadows allow for beautifully lit dynamic scenes, and screen-space subsurface scattering enables very realistic skin materials. Support for mobile platforms and consoles is better than ever, and hundreds of targeted improvements in this release allow complex online games to pass console certification tests. 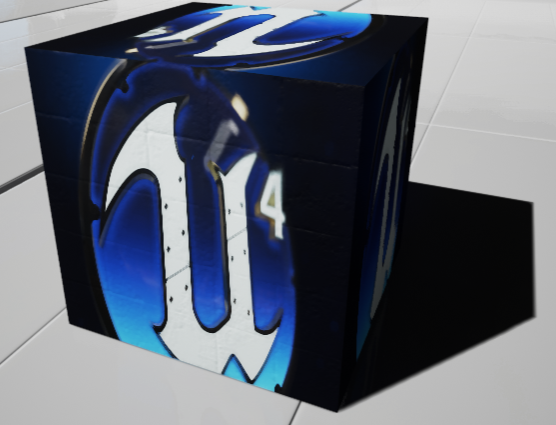 Finally, creating user interfaces has never been easier now that Unreal Motion Graphics is ready to use! This release also contains a huge number of usability and learning enhancements, an all new tutorial system, and new game templates for Advanced Vehicles and Twin Stick Shooters. 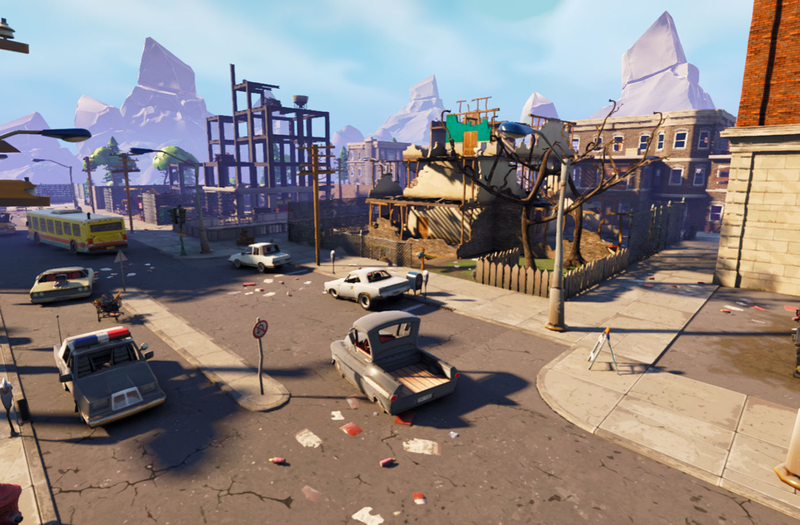 In this release, more than 40 features and improvements were contributed by our amazing community of developers. We would like to extend our gratitude the contributors below. We would also like to extend a special thanks to Lee Perry-Smith and Infinite Realities (http://ir-ltd.net) for providing the head model and assistance with Screen Space Subsurface Scattering. There is a new dynamic shadowing method which works by tracing a ray through mesh distance fields to the light. This allows for soft area shadows with sharp contacts! 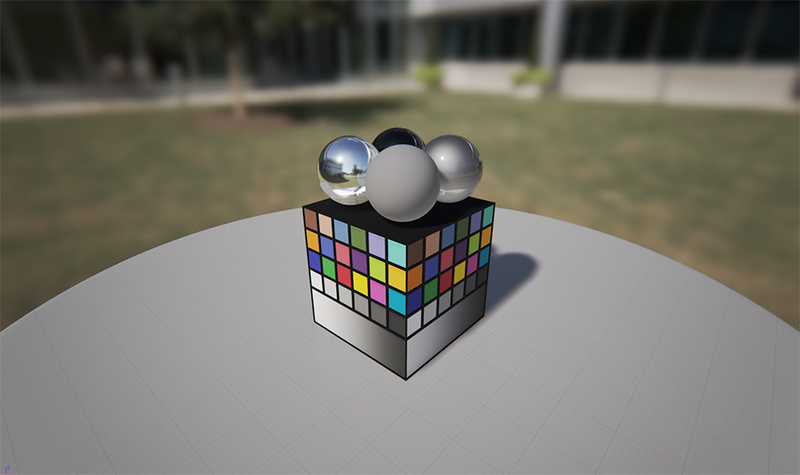 Here is a directional light with ray traced soft shadows. Long shadows get softer and self-shadowing in the distance is still detailed. Point and spot lights work too. ‘Source Radius’ is used to control how large the light source is and therefore how large the shadow penumbras are. Ray traced shadows can be efficiently computed for longer view distances than traditional cascaded shadow maps (CSM). Distant shadows can be ray traced while nearby shadows are computed with CSM to get the best of both approaches. Ray traced shadows are generally 20-30% faster on the GPU than cascaded shadow maps. These distance fields are the same data used by the Distance Field Ambient Occlusion feature. You can enable it with ‘Use RayTraced DistanceField Shadows’ on a light, in projects which have the ‘Generate Mesh Distance Fields’ project setting enabled. For more information check out the documentation! The project rendering setting is now called bGenerateMeshDistanceFields, check that box and restart the editor to use any distance field lighting features. The distance field generation has been made asynchronous. It will use most of the CPU’s cores but leave a few available for using the editor in the meantime. 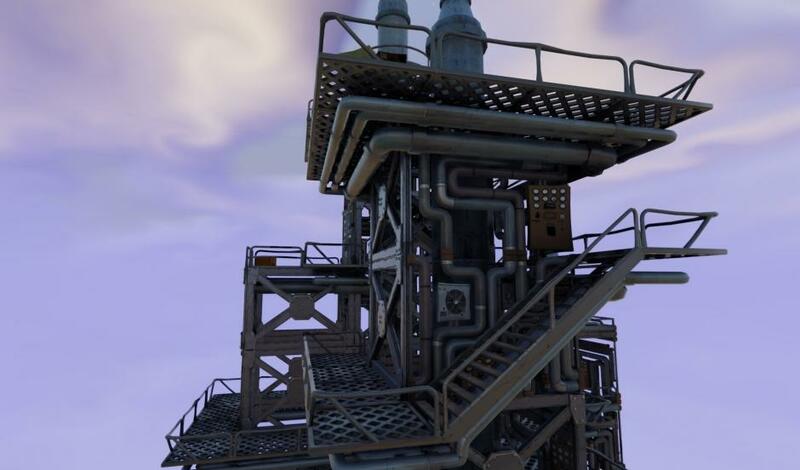 Meshes no longer need to be closed to support a distance field. We now have some approximate specular occlusion for the sky. The Distance Field AO computation produces a bent normal, which is a cone indicating sky visibility at that point. Intersecting this cone with the reflection cone gives a shadowing term for the sky specular. This prevents leaking near occluders and works best on somewhat rough materials or wherever SSR is not valid due to screen space limitations. For more information check out the Distance Field AO documentation! A new “Subsurface Profile” shading model has been added! You can use subsurface scattering to create realistic skin materials and other awesome effects. Dynamic shadows for movable directional lights are now supported on mobile platforms! 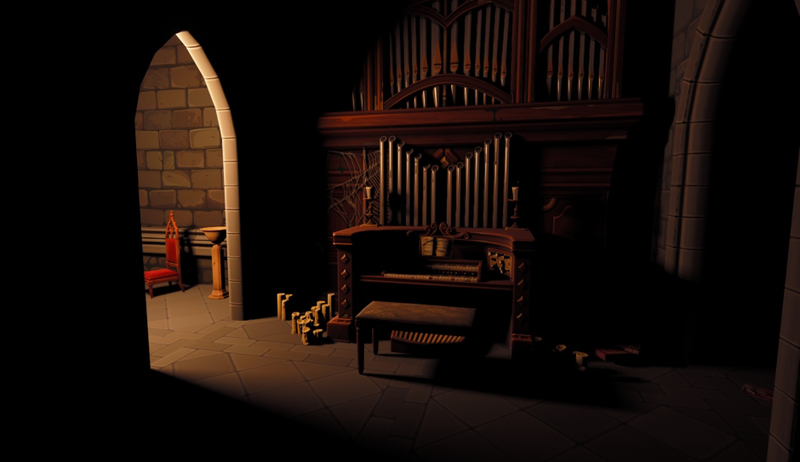 Shadows are rendered using cascaded shadow maps with up to two cascades. 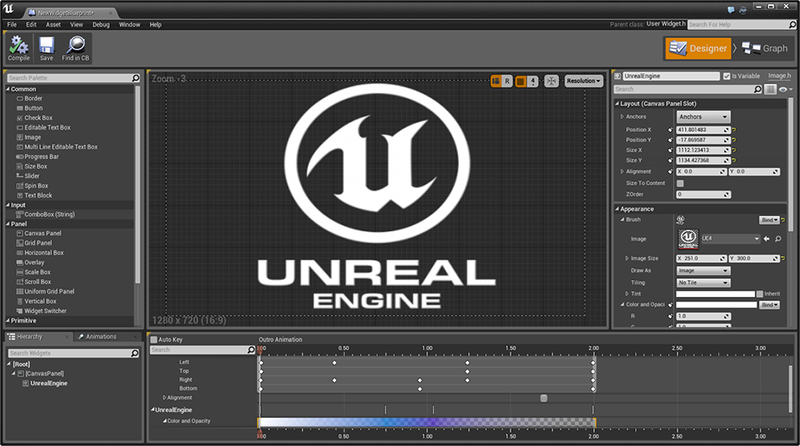 Unreal Motion Graphics is now ready to use and available by default! Simply create a new “Widget Blueprint” and start designing your UI. Of course, new features and improvements are still being added daily. 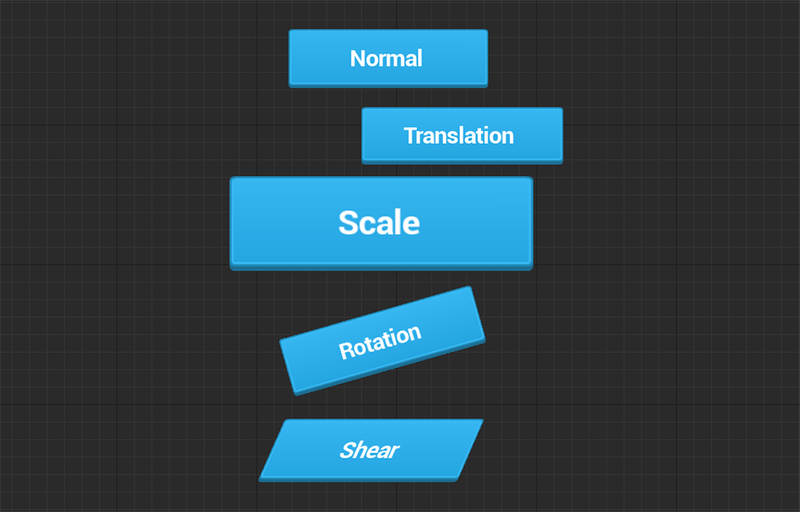 Widgets in UMG and Slate can now be translated, rotated, scaled, and sheared! We now allow styling to be done completely inline for a widget’s definition. This allows users a much greater control over how widgets look without needing to clutter up their project with several dozen style variations. Styles can now be changed in game, allowing dynamic material instances to be used on any UI! UMG now includes more robust animation support. UI animations can be controlled in the widget blueprint graph. This is an example of playing an animation when a widget is hovered. 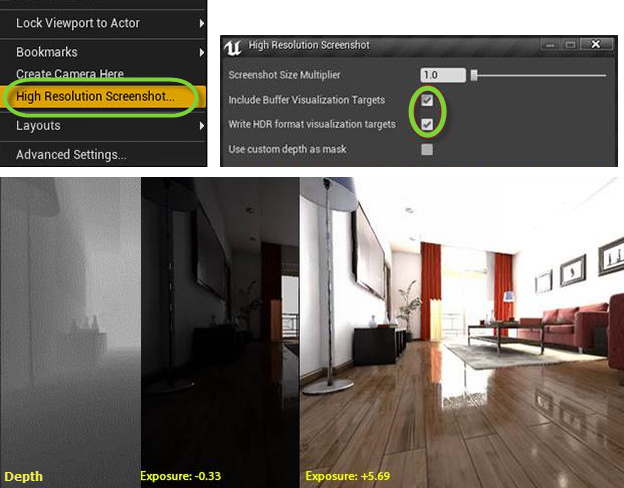 Unreal Motion Graphics now supports automatic scaling for resolution-independent UI. We now provide default DPI scaling rules for all games. You can configure this in your project’s Rendering settings. 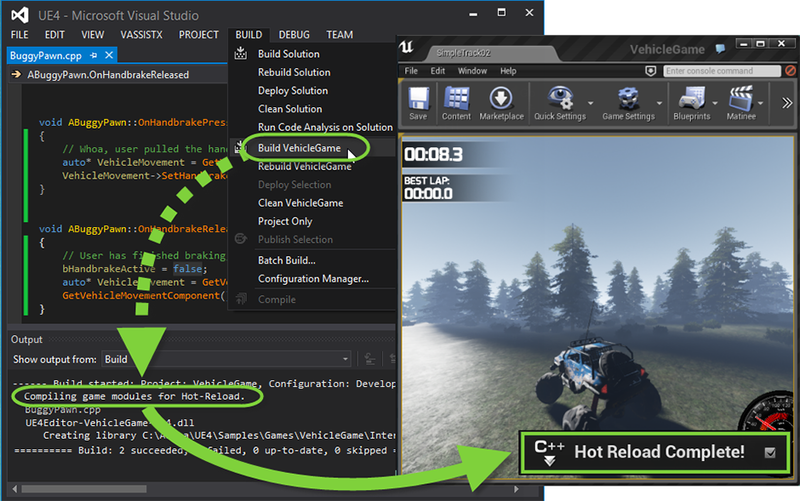 Unreal Engine now automatically “hot reloads” your C++ gameplay code after you compile in Visual Studio or Xcode! No need to shutdown the editor while you’re working. 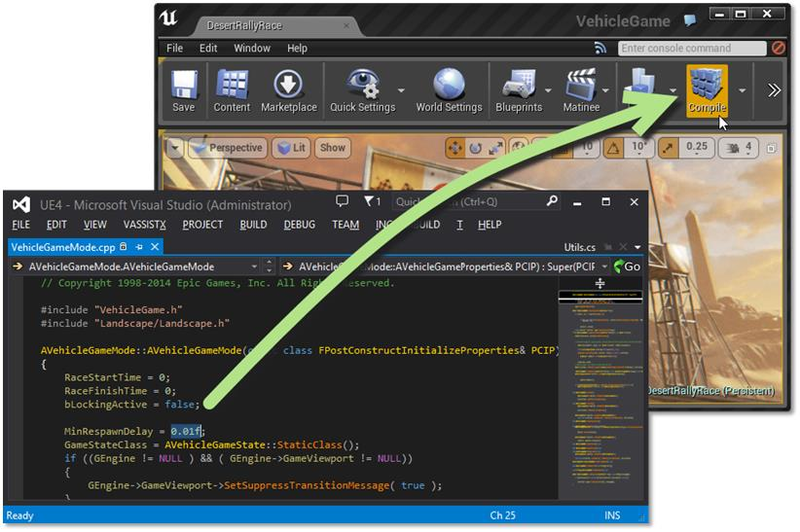 Just compile your gameplay code normally from Visual Studio or Xcode, and the engine will apply your C++ changes instantly. You can now compile any type of game C++ code without even restarting the editor, and your changes will be applied live! Even adding whole new classes or properties is supported. 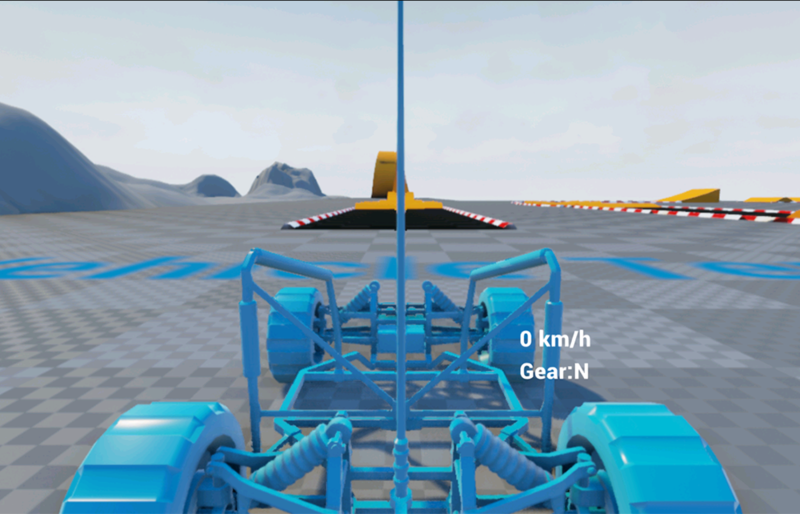 The new Advanced Vehicle template shows off a vehicle with double wishbone suspension, and a test track with terrain and many ramps and loops! It also works great with a VR headset. The new Twin Stick Shooter Blueprint template is a perfect starting point for creating fast-paced, top-down shooter games! 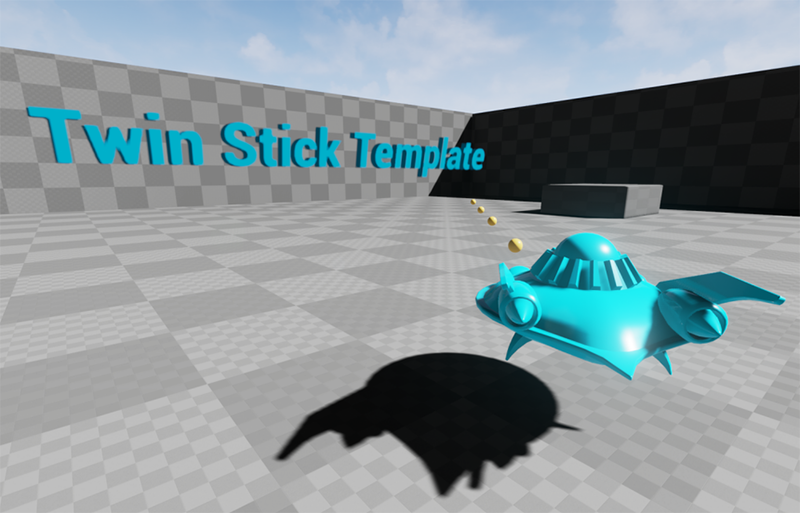 A new map is available in the template starter content which provides artists a testing area to try out different lighting setups and see how their content is affected. 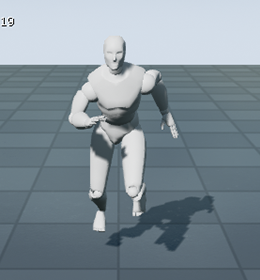 The new Animation Retargeting System allows you to convert animations between different skeletons using the humanoid rig! Example Video: shows animation starter pack converted for another skeleton. 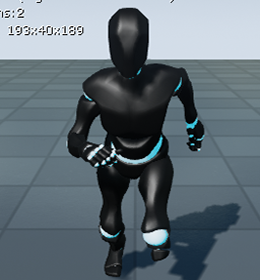 Once you have set this up, you’ll be able to convert animations between any skeleton that uses the same rig. The new Media Framework allows you to play streaming video on UI widgets and textured objects in your levels! Check out our forum post about this new feature. You can now save rich frame data including HDR colors and 16-bit pixel depth into an OpenEXR file. This is really useful for offline compositing work. 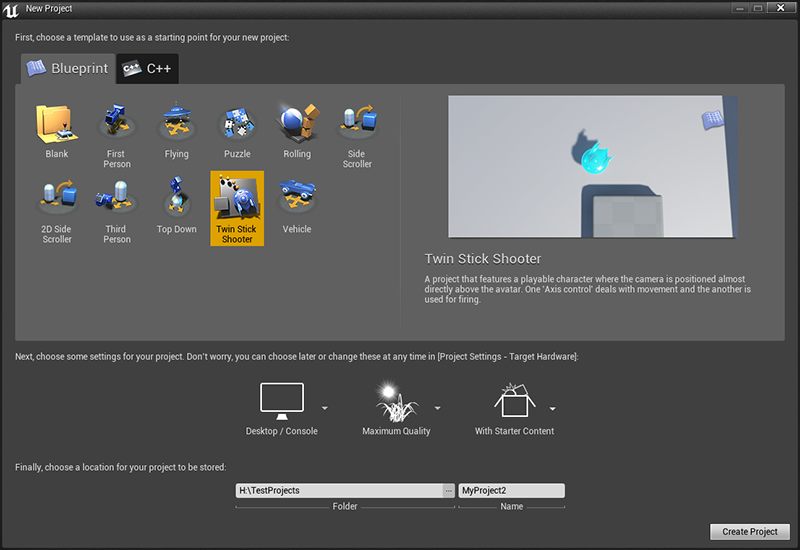 The New Project window has been redesigned to simplify the process of creating new projects! You can now select the type of hardware and devices you want to support, and the engine will choose optimal settings for the best player experience! 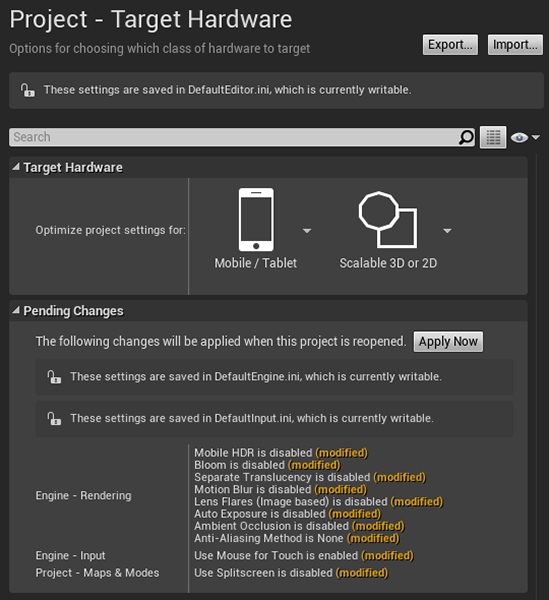 This can be set when creating your project in the New Project window or in the Project Settings under Target Hardware. In addition to new videos and new written documentation, there are major updates to how you can learn about how to use the editor and access documentation right when you need it! 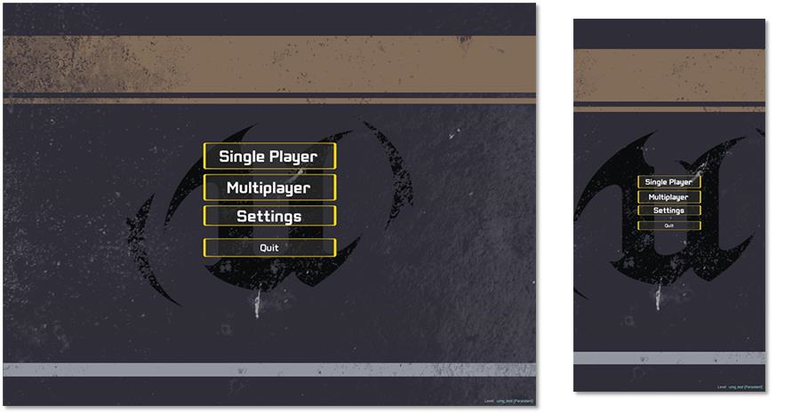 The tutorial system has been completely overhauled in order to provide a more immersive experience! There are no more popup windows. (Yay!) Unobtrusive text bubbles overlaid on the editor now walk you through interface elements and various features. The editor will alert you about tutorials you haven’t tried, but it never forces you to view anything. 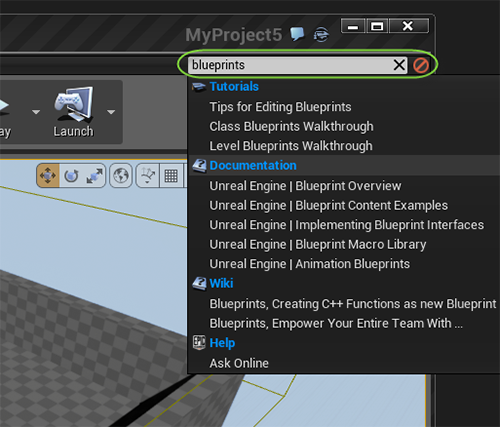 Tutorials can be accessed from either the Help menu or by clicking the new Tutorials icon in the top-right of the editor. 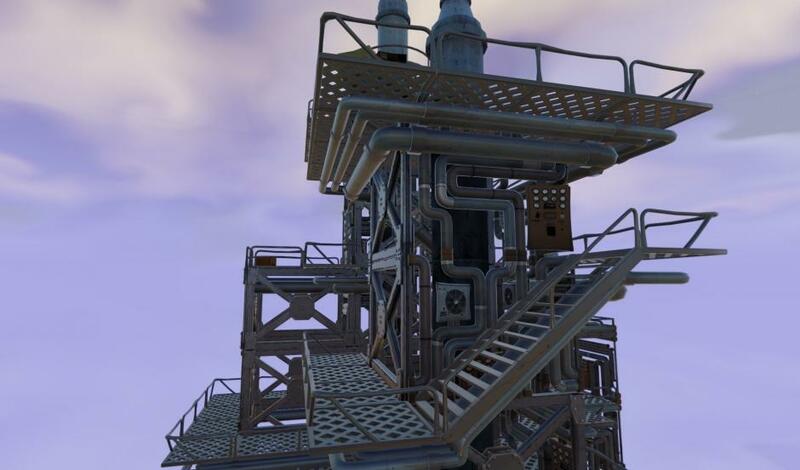 Tutorials are actually now built as Blueprint assets. 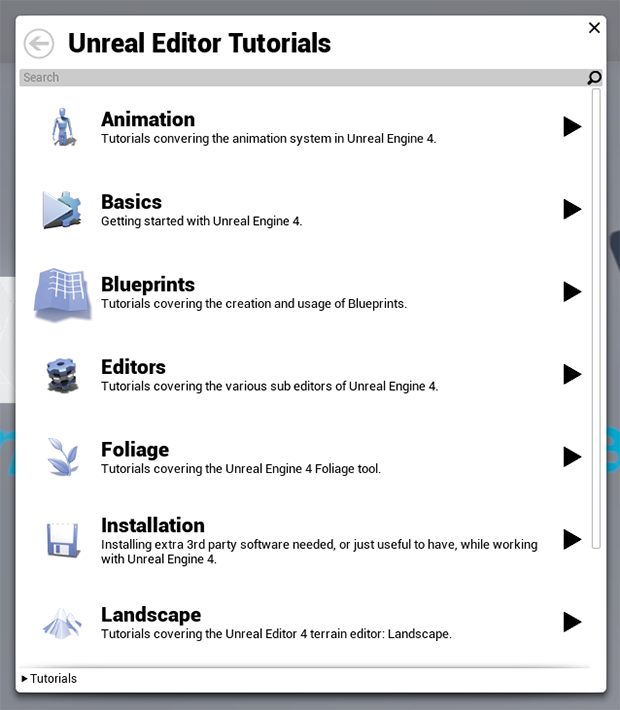 This means you can create your own in-editor tutorials to include with content published to the Marketplace! 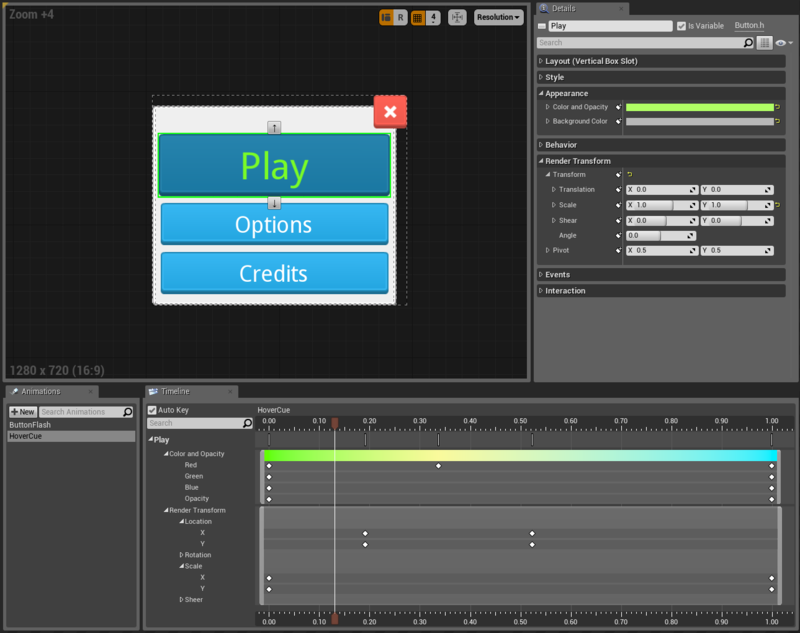 Tutorials you create will automatically be visible in the new Tutorial Browser UI. You can type into the new Online Help box and the editor will gather as many helpful resources as we can find from the internet. Tutorials, documentation, community wiki, and AnswerHub pages are now all accessible from here! Note: We’ve moved the in-editor debug console. You can now press the tilde (~) key to summon the console anywhere within the editor!. With lots of new documentation anchors, it’s easier to jump directly to reference documentation as you need it in the editor! New documentation actors have been added to sample content that links you to helpful documentation pages. Check out the updated Content Examples project that includes lots of new help links! 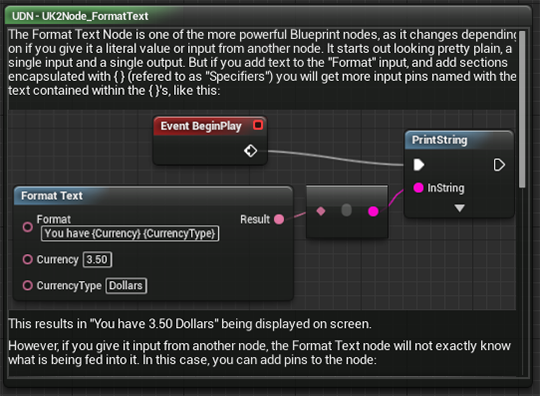 Documentation nodes provide the ability to display documentation snippets in Blueprint graphs. This means you can embed text and images in your graphs to provide information that goes above and beyond the usual comment blocks! Lots of detailed tool-tips have been added all over the editor. Material nodes, placeable actors and blueprintable classes now all have rich help when you hover over them with Ctrl+Alt held down. 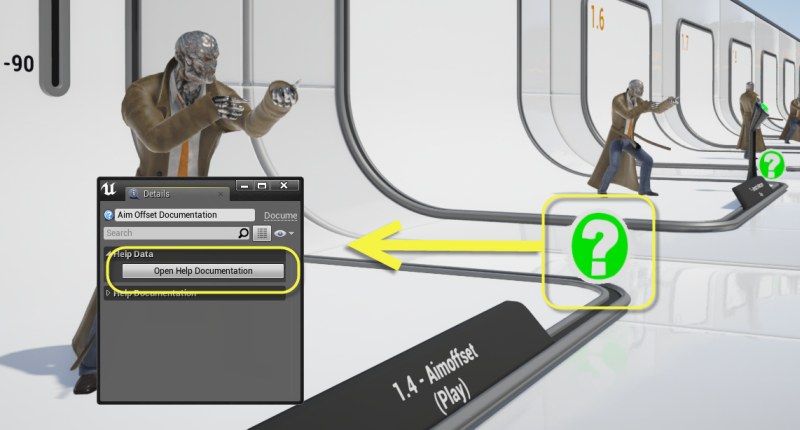 The Unreal Engine documentation now features an updated look which improves readability! In addition, we added search term suggestions to the front page to help you quickly find the topics you are looking for. 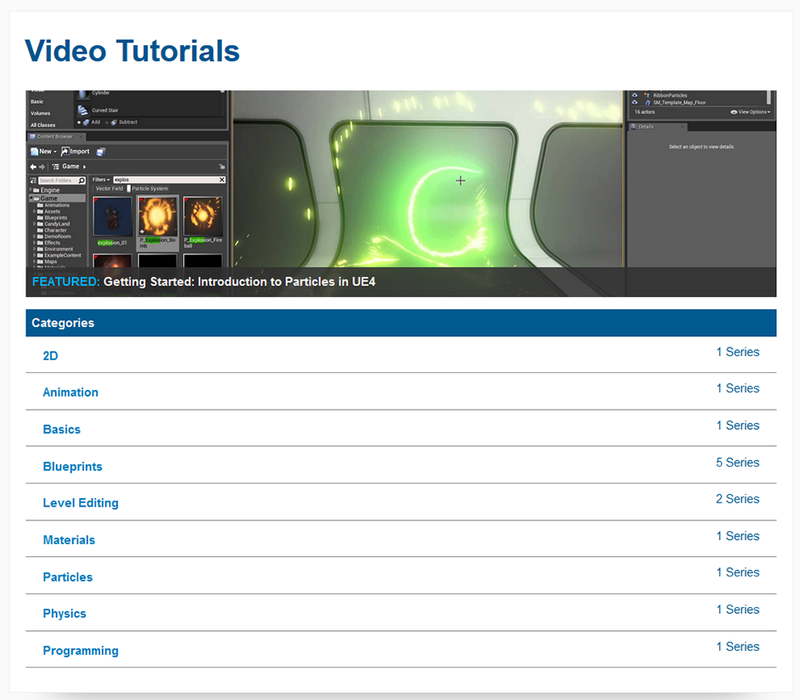 The documentation now includes a video system for finding and viewing all of our video tutorial series! Everything is organized into categories and videos can easily be viewed as an entire series. See the complete list of updates here!